Get up to 7 free auto shipping quotes from the largest, most trusted New York auto transport companies and save up to 50% on your car shipping rates at CarMoves.com. Car shipping companies in New York compete for your business, which is how you can save hundreds, if not thousands of dollars on car transport services by shopping with us. Whether you're shipping a car to New York, across the country, or even overseas, we can help you get the best price on your shipment - guaranteed! Read more about the following auto transport companies in New York before getting a quote. Click on the name of the company to read a full review. First Class Auto Transport First Class Auto Transport has been providing top quality car shipping services since 1999. Besides cars, First Class is capable of shipping other vehicles, including RVs and motorhomes. The company also specializes in direct door-to-door shipping, and has a nifty 24-hour shipment tracking feature. National Car Transport National Car Transport offers a seldom advertised option: rush shipping for qualifying orders. This BBB-accredited company has 12 years of experience in the auto transport industry. PayPal and credit cards are accepted forms of payment, and works with eBay Motors to ship cars from state-to-state. Get a free auto transport quote today to find out how much it costs to ship a car to or from New York! A lot can be said about the great state of New York. Dating back to the early 17th century, the state was an integral part of the early British colonies in America, and later was the grounds for nearly a third of the battles in the Revolutionary War. 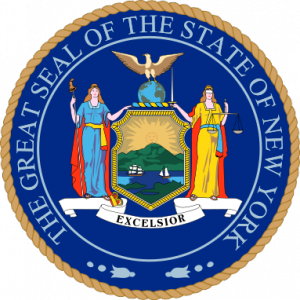 Today, New York retains a great degree of its initial power among the states, containing the country's largest city, New York City. This giant metropolitan area contains nearly half of the state's population. In contrast, upstate New York is much more sparsely populated, though cities like Buffalo and Rochester also have moderately large populations in comparison to other US cities. Upstate New York cities, in contrast to the New York City area, often struggle with economic woes thanks to the demise of US manufacturing jobs, though industries like education and health care are gradually restoring life to these Rust Belt cities. New York City is the financial capital of the country, with Wall Street and the New York Stock Exchange located in the city. Untold millions and even billions of dollars are exchanged daily on Manhattan Island's financial district. However, the city is not only an economic center, but a cultural one as well. New York City's fine cultural dining, numerous entertainment venues - mostly situated on Broadway, and enthusiastic sports fan base all combine to form a city that is unlike any other in America. As a result, the New York City tourist industry pumps millions of dollars into the state economy each year, though a lesser amount also comes from tourists visiting Upstate New York as well. Canadians, for instance, spend nearly a half a billion dollars in the state each year. Geographically, New York has some of the country's most interesting topographical features. Northwestern New York state has access to two of the Great Lakes: Lake Erie and Lake Ontario. The city of Buffalo has direct access to Niagara Falls along the state's border with Canada. In the extreme north end of the state, Adirondack Park, a 6.1 million acre park that is the largest in the country, is a state-protected park that has been expanded greatly in the past century. While southern New York might be dominated by urban growth, the rest of the state is extremely friendly for outdoor adventurers and hikers alike. CarMoves.com works with car shipping companies throughout the state of New York. We can help you get the best prices on car transport services to the following cities in New York: New York City, Buffalo, Rochester, Yonkers, Syracuse, Albany, New Rochelle, Cheektowaga, Mount Vernon, Schenectady, Utica and many more. If you don't see your city listed, don't worry - we can get your vehicle shipped anywhere in New York. Scroll to the quote section on this page to compare free auto shipping quotes from up to 7 New York auto transport companies and save up to 50% on your move! View the New York Department of Transportation website for more information.